According to recent research from RentCafe, there are a few top zip codes that Millennials are paying attention to. The Millennial population accounts for sixty percent or more of submarkets in cities like Chicago, Denver, Philadelphia and New York. The report from RentCafe ranked thirty of the biggest U.S. cities, by zip code to find the highest increase in Millennial population over a five-year period of time using the current U.S. Census population estimates. 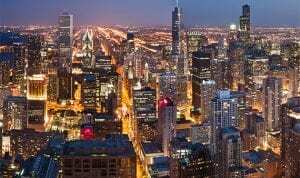 Chicago’s West Loop in zip code 60661 is the number one hotspot for Millennials with seventy-three percent of its residents who are Millennials. For more than forty years, Knipp Contracting has been helping homeowners and investors like you maximize their property values, while creating a beautiful space that you can enjoy for years to come. Our experienced team members are standing by, ready to assist you today. We look forward to hearing from you soon!